This page does a word count across Palauan language text snippets that have been collected online. It includes facebook and other blog comments and posts as well as other miscellaneous sources.It currently does a fair bit of processing so you might need to be a bit patient while you wait for it. A very cool visual word map of this (excluding some of the little words) was kindly created by Nathan DeBardeleben. 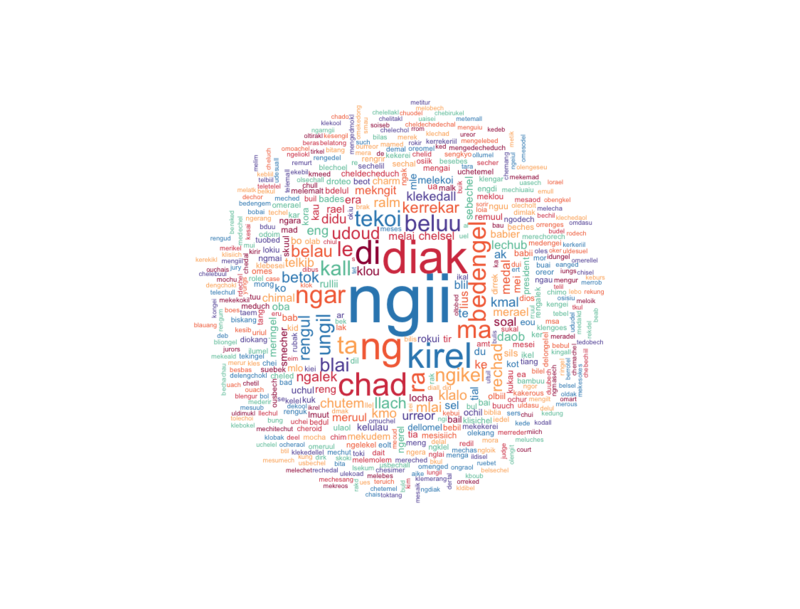 In early 2016, we published a version of this list after doing various processing on it to merge multiple entries to try to get a more accurate and useful list: 3000 Most Frequently Used Palauan Words. Does Palauan word frequency follow a zipf distribution as do most languages?